Walt Disney had just released Snow White and Pinocchio and had loads of creativity to spare as his career took off. What better way to unleash his imagination than into a big screen fusion of music and animation. Fantasia was a truly unique film that took the film-going audiences to new horizons. This was not a documentary, nor was it a full-length single story from start to finish. It was a new experience that was ahead of its time: A Music Video. In fact, Walt had wanted to make an entire series of Fantasia films to produce every two years or so, but that never happened. All he did, was simply take a famous piece of art music and have his animators apply an animated sequence to sync up with the twists and turns in the music. I am not sure which came first; if the animated segment was thought up first, then they found appropriate music to accompany it, or vice versa. Nevertheless, the final technicoloured, surround sound experience is unforgettable. Some people may criticize Fantasia for not having a cohesive plot-line throughout, but I prefer to view this film as an experimental tone poem, rather than as a conventional movie. I simply enjoyed just sitting back, letting myself fall deep into the music and observing the exquisite animation. The quality of the animation of this Disney era (including Bambi and Pinocchio) is something to marvel. It would later prove to be too expensive and time consuming to maintain, but this was the highest level of drawing the company would ever produce. As for the individual segments themselves in Fantasia, some are better than others. There is the obvious now-classic ‘Sorcerer Mickey’ part as well as the primeval ‘Rite of Spring/Dinosaur’ segment. 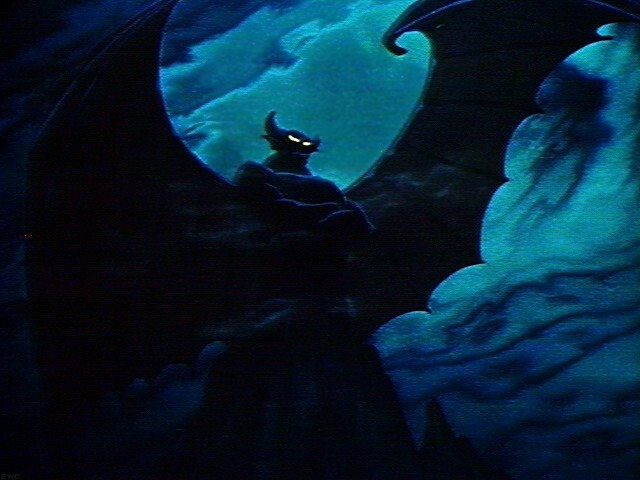 And then there is the awesome, climatic ‘Night on Bald Mountain’ animation. Just imagine the sheer tenacity it must have taken to pull this off confidently in such a...‘satanistic’ way. It’s sad to think that the Disney company would never produce anything as visually striking and evil as this sequence; namely the winged-beast Chernabog. They would try again later, but fail miserably in their animated film The Black Cauldron. Summary: Fantasia appeals to me with its great music and finely crafted animations to visually dissect. But it is the tenaciousness of Walt Disney to create such a work of art and push the boundaries of cinema that makes this such an important film. This is my 33rd favourite movie of all time [on flickchart.com]. I think Bambi had a higher level of animation, overall. Agreed. That is the pinnacle (another big word) of animation as art.